The main activity of novawear.eu is the production of fan embroidered clothing and workwear. Now we add a new segment in our business - direct printing on t-shirts, sweatshirts and all sportswear with more than 60% cotton content. We present you our collection of creative t-shirts, printed with our design. They are suitable as for you or as a gift for your friends. For the production of these clothes we use high-end digital printer for direct printing EPSON Sure Color F2000. 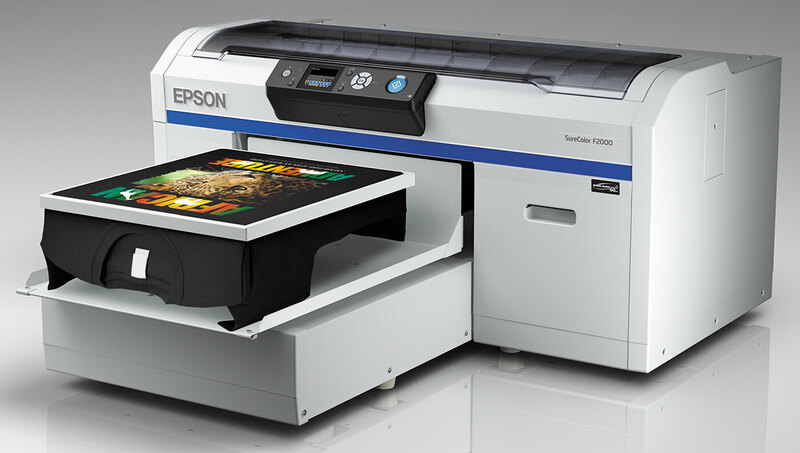 This machine has the highest level of printing on T-shirts, sweatshirts and any suitable sportswear. The colors are rich and washable with no change of the quality. Can print with a resolution up to 1440 x 1440 dpi. The inks used - Epson UltraChrome DG, are environment friendly, even honored with certification of Oeko-Tex Standard 100 and do not contain any harmful substances. The printing process on colored fabrics includes many operations and is more time-consuming than printing on white fabrics. That's why is slightly more expensive. Dark textiles needs a special treatment, so it is a little bit expensive. Please send in advance the images you want to print and we will give you exact price for your project. Thank you for visiting our store. We hope you will be extremely satisfied from our items!